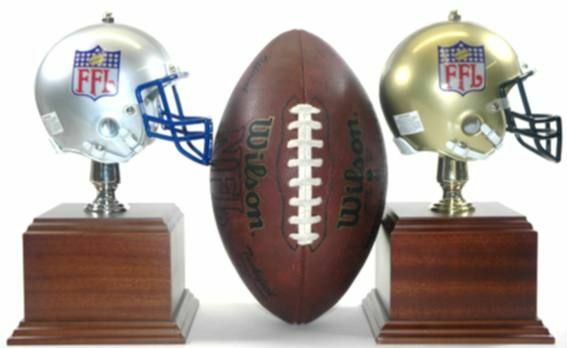 This beautiful trophy stands 12 inches tall and has a Silver or Gold replica mini football helmet mounted on a wood base. The Silver helmet has a blue face guard and the Gold helmet has a black face guard. 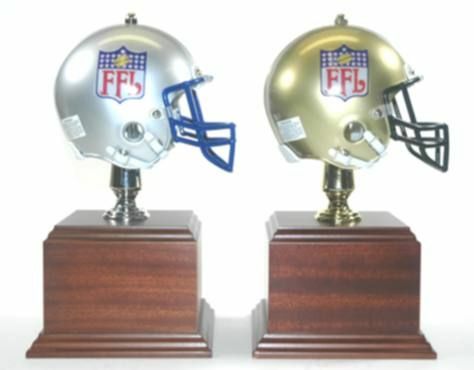 Each helmet has the FFL Logo decal on one side. The trophy includes an engraved plate which will have your custom information like: name, team name, the year, and the league name, etc.